Anaerobic digestion system by Hitachi is the leader in dry fermentation processes. 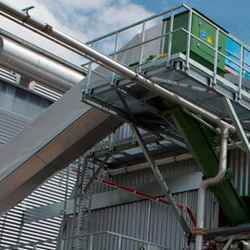 They design, build and operate plants that recycle organic waste from communal, commercial and industrial sources. The plants use a modular system and are suited according to the customer’s needs.